Project management skills such as WBS, Gantt Chart and PERT have been applied in many fields, but system analysts preferred UML to project tools. This article recommend transformation rules from project items into objects and project charts into UML diagrams, to model all project items and processes by using UML. Therefore, UML can be applied not only to system analysis and design, but also to entire project processes. Stakeholders in a project can rethink the project in terms of object orientation and communicate with system developers using the same tool as UML. Project management skills are applicable to several fields, such as building construction, new product development, software development, or hosting the Olympic Games (Liu & Mab, 2010; Raymond & Bergeron, 2007; Sahin, 2011; Shen & Chung, 2002). With the help of project management skills, project managers can evaluate and control cost, time, and quality of projects. However, as the complexity of external environment increases, evaluation of resources for projects becomes more and more difficult. 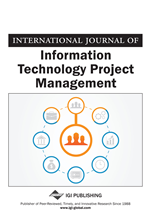 Therefore, project management information systems (PMISs) have been developed to deliver information and support managers in making decisions during the project processes (Cooke-Davies, Crawford, & Lechler, 2009; Deng, Li, Tam, Shen, & Love, 2001; Dossick & Sakagami, 2008; Laslo, & Gurevich, 2013; Maravas, Pantouvakis, & Lambropoulos,, 2014;Remenyi & Sherwood-Smith, 1998). The project management phases as well as the system analysis and design processes need to be taken into account while building a PMIS. Even though software development is usually regarded as a project, the methodologies of system analysis and design (SA&D) become different with the application of project management tools (Gelbarda, Pliskinb, & Spieglerc, 2002). The most popular methodologies used to describe project processes are PERT and Gantt chart (Lee & Kim, 2001; White & Fortune, 2002). However, in the project management literature, PMBOK delineates project processes using data flow diagrams (DFD) (PMI, 2013), whereas IPMA only represents project processes using structure diagrams. Moreover, for system analysis and design, Unified Modeling Language (UML) has been the most popular methodology to model a broad range of systems, irrespective of software or hardware systems. Through UML diagrams, system analysts, business analysts, and users can better communicate their needs and build a system that solves organizational problems (Dobing & Parsons, 2006; Wilcoxa & Gurau, 2003). Although there have been many useful skills and tools in project management and SA&D, there is still a gap between the two. Even the PMIS analysts and designers need to understand project management processes by using PERT or data flow diagrams and then model project processes by using UML to build a PMIS. Since PMBOK describes project management processes with DFDs, that is, a structural SA&D tool, the purpose of this paper is to rethink projects as objects and represent the processes by using UML. Thus, system analysts could model all the project processes by using UML. Moreover, the consideration of a project as an object can help develop PMIS and model the project processes using the advantages of object-orientation such as encapsulation, inheritance, and polymorphism. Though many studies propose transformation rules to integrate UML with other methods, only few consider project items as objects, and model project processes by using UML (Baresi & Pezze, 2001; Gelbarda et al., 2002; Kamandi, Azgomi, & Movaghar, 2006; Katayama, 2005; Strembeck & Mendling, 2011). Therefore, in this paper, we recommend transformation rules from project items into objects and project charts into UML diagrams, to model all project items and processes by using UML. The advantage of this rule is the system analysis and the project process of information technologies project can describe the project by the same methodology.